Montevue/Citizens Auxiliaries, Inc. invites YOU! We sincerely hope that you will become the newest member of our community of volunteers. 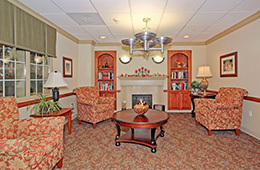 We are a diverse group who share an enthusiasm for our wonderful Montevue Assisted Living residents. They have served us and our beautiful Frederick County so well! Now we have the opportunity and privilege to help make new memories with them. Well, we invite you to study our photo boards and to turn our notebook pages for a glimpse of the many activities our auxiliaries support! Also, please fill out an index card with your name, address, phone number & e-mail. We will be happy to send you more information! THANK YOU! Auxiliary members meet each month, September through June. These meetings take place on the first Wednesday of each month at 9:30 am. Fruit, scones or Danish, coffee, & tea are served. If interested, please fill out the Volunteer Application and return it to the Montevue Assisted Living Business Office.